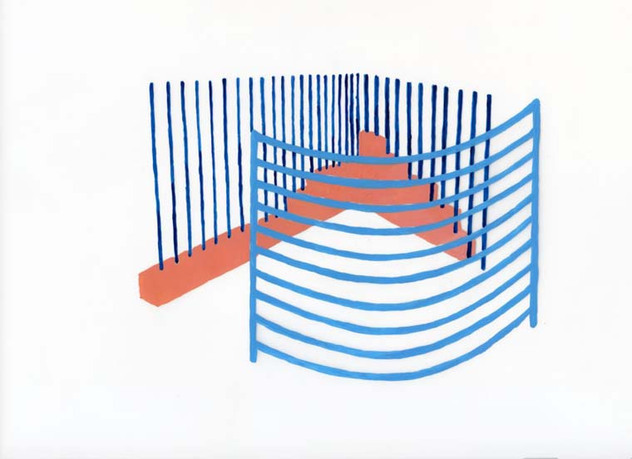 Tanya Brodsky, Fences Sketch, 2016, Los Angeles. Courtesy of the artist. Fences, window gratings, and security gates are common fixtures of East Los Angeles's residential landscape. They are contradictory objects that can divide, define, conceal, and control access. They are so ubiquitous in the Los Angeles urban fabric that they often go unnoticed, yet they are integral to the ways we define individual and collective access to land, housing, and property. These unnamed, un-authored objects of the built environment are the instruments by which Los Angeles property owners negotiate their own privacy and private space in a densifying neighborhood, while demonstrating the charged notion privatization can take within the city. What is the visual culture of privacy and private acts? 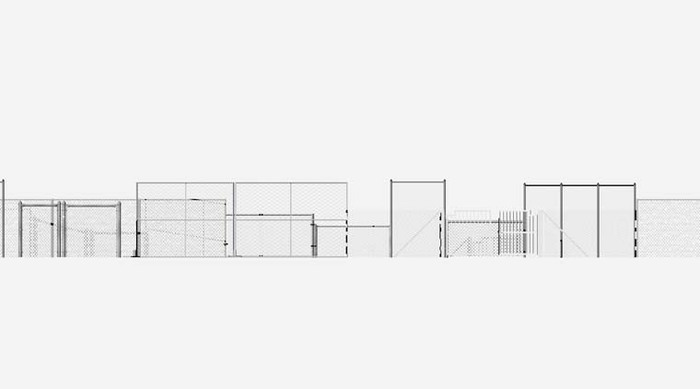 What are the architectural and spatial devices by which we privatize space? How do we draw and materialize the boundary between others and ourselves in ways that are both discreet and ubiquitous? Privacies Infrastructure explores the physical, social, and embodied structures of privacy and privatization in the residential landscape of East Los Angeles by inviting four artists and designers: Besler & Sons, Tanya Brodsky, Fiona Connor, and Gwyneth Shanks, to observe, respond, and activate through public installation, performance, publication, and programming. This project is organized by guest curator Aurora Tang and M&A director Jia Gu. 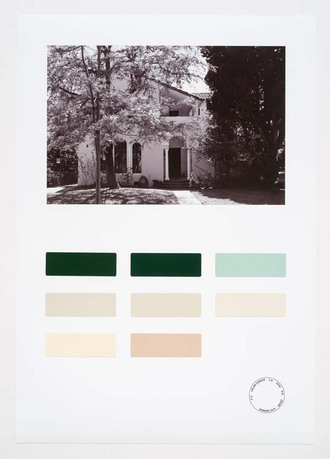 Aurora Tang is an LA-based curator and researcher, who focuses on contemporary place-based practices. Since 2009, she has been program manager at the Center for Land Use Interpretation, a research and education organization dedicated to the increase and diffusion of knowledge about how the nation's land are apportioned, utilized, and perceived. From 2011 to 2015, she was managing director of High Desert Test Sites, where she organized multisite projects in California, Arizona, New Mexico, and Utah. She is the curator of an upcoming exhibition at the Barrick Museum at the University of Nevada Las Vegas, and is a member of the Common Field Council. Jia Gu is a designer, educator, and curator with a special interest in critical and conceptual practices in art and architecture. She holds a BA in visual arts (with honors), from the University of California, San Diego, and an MArch (with honors) from the University of California, Los Angeles. She is the founder and co-director (with Maxi Spina) of Spinagu, a design studio dedicated to architecture, curation, and pedagogy. She is currently associate director of the UCLA Architecture and Urban Design Summer Programs, and PhD student in architecture at UCLA. She is the director of Materials & Applications. Tanya Brodsky is an LA-based artist interested in the choreography of everyday interaction and how the built environment shapes social dynamics. She received her MFA from UCSD and her BFA from RISD. Her recent exhibitions include those at Actual Size Gallery, Commonwealth and Council, LAXART, Union Station, Vacancy (solo, forthcoming), and Visitor Welcome Center (solo, forthcoming). Erin Besler and Ian Besler are cofounders of Besler & Sons, LLC, a Los Angeles-based practice that works to expand the definition of architecture through active participation with amateur creators, construction trades, and design software. Their work has been published in Log, Pidgin, FutureAnterior, Project, San Rocco, and Perspecta. Their work has been exhibited internationally. They were finalists for MoMA PS1’s Young Architects Program, participants in the Chicago Architecture Biennial and the Shenzhen and Hong Kong Bi-City Biennial of Architecture/Urbanism. 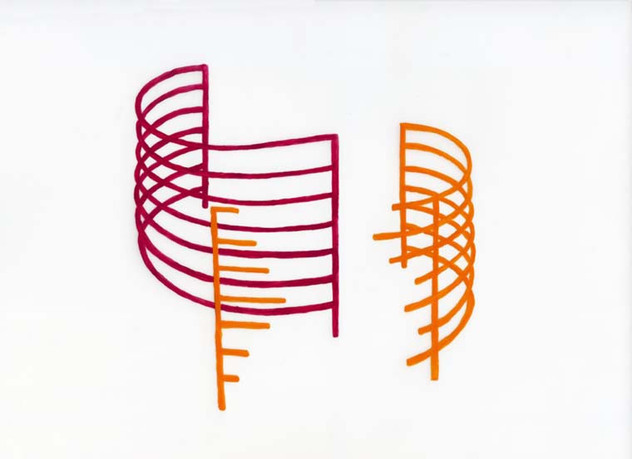 Fiona Connor is an LA-based artist working at the intersection of architecture, sculpture, and installation. She received an MFA from CalArts and a BFA from the University of Auckland. 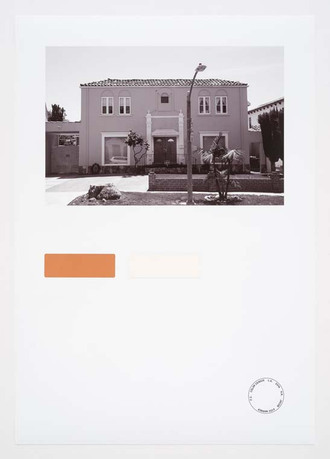 She has exhibited internationally, including at the Hammer (Made in LA, 2012), Human Resources, the Istanbul Biennial, the MAK Center, LAXART, REDCAT, Lisa Cooley, 1301PE, and Frieze. She has run the apartment space Laurel Doody, and works collaboratively with Michala Paluda as Newspaper Reading Club. Gwyneth Shanks is the Interdisciplinary Arts Postdoctoral Fellow at the Walker Art Center. Shanks holds a PhD in performance studies from University of California, Los Angeles and an MA in performance studies from New York University. She has created performance for Materials & Applications and the queer arts festival Install WeHo. As a performer she has worked with, among others, the Trisha Brown Dance Company, Marina Abramović, Jérôme Bel, Maria Hassabi, and Meredith Monk. Her work appears in Performance Matters, Third Text, the Journal of Dramatic Theory and Criticism, Theater/Performance Historiography: Time, Space, Matter, and is forthcoming in X-TRA and a French-language anthology on performance in museums. Materials & Applications (M&A) is a nonprofit organization dedicated to building a public culture of experimental architecture in Los Angeles. Our mission is to advance innovative and critical ideas about architectural design through public projects and programs. We produce outdoor installations, workshops, and dialogues in collaboration with architects, artists, and communities.